In many Linux based distributions there does not appear to be any local DNS query caching performed by default on the client side like there is in Windows. This means that if a process on the system constantly needs to connect to some domain name it will perform a DNS lookup against the resolver defined to retrieve the IP every single time. In this particular example instance there is a process that performs 30,000,000 DNS requests per day on average against the nameserver, we are going to significantly reduce this by configuring a local DNS cache on the server performing the excessive DNS queries. Previously we have covered how to provide NFS shares to specific clients, here we are going to expand upon this and cover how an NFS share can be shared with members in a group for collaboration purposes. This will be done primarily with the use of set group ID (Set GID), as using this results in all files and directories created within the group share being automatically set with the same group owner as the share itself. State Of The Linux Desktop In 2016 – Year Of The Linux Desktop? It’s the year of the Linux desktop! A statement I’ve seen thrown around for many years now. 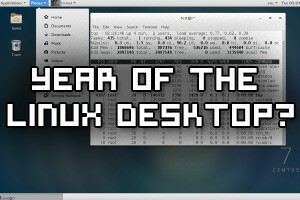 It’s basically at the point where the running joke is that “year of the Linux desktop” is CurrentYear+1, a fantasy wonderland that remains ever so slightly out of reach. So how is Linux to use on the desktop going into 2016? Let’s find out. The Linux kernel is optimized so that it can perform generic tasks and work well with an average workload without any modification out of the box, however you can optionally further optimize and tweak various kernel runtime parameters to increase the performance level, allowing you to squeeze out as much performance as possible. 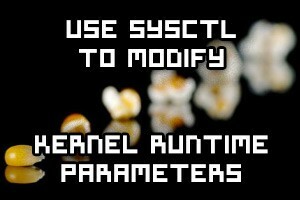 Here we’re going to discuss the /proc/sys file system and how you can modify kernel runtime parameters to modify and tune Linux.